active health village | Badudets Everything Nice! I survived my first half-marathon at the recently concluded Run United 2 last Sunday. This year, I dared to be fitter and more active so I went back to the gym sometime last March. 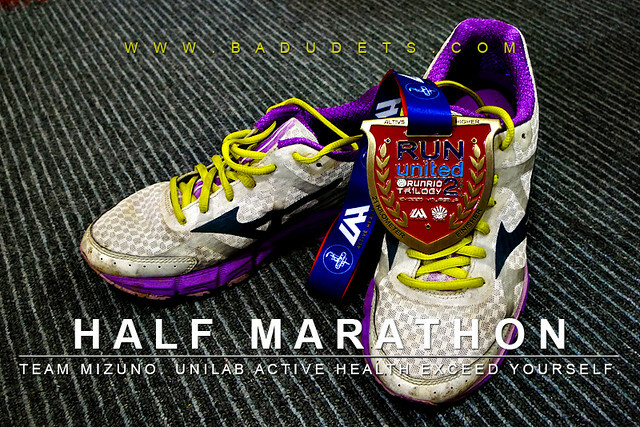 Prior to Run United 2, I joined the Yakult 10-miler last March and a 10km run in Ateneo for the Kythe Foundation last April. These two races plus circuit training at the gym made me confident to take the plunge and run my first half-marathon. I’m also excited to take my new running buddy on the road, my Mizuno Wave Rider 17, I love using it at the gym and I can hear my new shoes roaring for some pavemen action.